I am pretty impressed with the flexibility of Fremantle Heritage Architect Agnieshka Kiera, the city’s planning staff, and the contractors working on the Old Port Project at Bathers Beach. After concerns from FICRA, Fishing Boat Harbour traders and the wider Fremantle community, changes have now been made to the plans to accommodate the wishes expressed at the community meetings held at Kidogo Art House. Agnieshka confirmed this morning that more grass and trees will be planted, and shade structures, seats and showers will be installed. I believe this is a really good outcome for all, and it is heart warming to see people willing to compromise and not dig their heels in. Well done City of Fremantle. Good councils make good decisision. Great councils listen, adapt, compromise, and make even better decisions! New W.A. Labor leader Mark McGowan was at his first official function in that position at a breakfast organised by the Fremantle Chamber of Commerce at the Fremantle Sailing Club today. McGowan said he was for the new inner city development in Fremantle, but admitted that he did not know details about heights of buildings proposed under Planning Scheme Amendment 49. It was even more interested to hear then the reluctance to commit to light rail in Freo. Yes, that is what Labor wanted, but hey, the money needs to come from somewhere, so maybe cities like Perth and Fremantle could finance it from parking revenue. Labors plans are presumably then to let thousands more people live in inner city Fremantle, but how they’ll get in and out of town is going to be anybody’s guess, but no one’s problem. Member for Willagee, Peter Tinley also spoke in favour of what he called the visionary plans by Fremantle council, but emphasised that Fremantle is much more than just the inner city and that the outer suburbs as far as Attadale should be considered to be part of the regional centre the city is. It is too early to analyse the new Labor leader. He speaks well and off the cuff without notes, so he seems to be doing his homework. It appears that years of accusations of doing deals behind closed doors have taken their toll on Fremantle’s likable and laid-back Mayor Brad Pettitt. Brad announced that Wednesday, February 1 will be the start of Mayor In The Square, a kind of pocket soap box event, where people can meet the Mayor face to face, to raise concerns and express their views. It’s a bit like Julia Gillard’s community cabinet meetings, but Brad is clever enough to do it without those pesky City of Fremantle councillors. It is a brave move by Freo’s first man, who could well be accused of not being able to think outside the square while in it, but those in the community who like the pedaling bikie are more concerned if he will slip, slap, slop and protect himself from all the nastiness life sometimes offers. MAYOR IN THE SQUARE will be from 11-12 each Wednesday, so take advantage of it and go talk to the City’s leader. Brad also offers a game of table tennis. If you want to beat him, it’s best to send your teenage children, as the Mayor is pretty good at it, probably because of private lessons from former table tennis champion, and now Freo CEO, Graeme McKenzie. The Cantonment Hill Master Planning Working Group is preparing a master plan for development of the iconic Cantonment Hill Reserve for submission to the City of Fremantle. A draft master plan with options for development of the site has been prepared by the working group and will be open for public comment for four weeks from tomorrow (31 January–28 February). The decision to commission the master plan forms part of the City’s strategic imperative for innovative and renewed city and suburban areas, with Cantonment Hill identified as offering the opportunity to activate a significant yet under-utilised site within central Fremantle. The draft master plan, which includes three options for development, has been developed from extensive site analysis which revealed the opportunities and constraints of the site. Many factors were taken into account in the production of the draft plan including building, cultural and landscape heritage, input from the Heritage Council of Western Australia and Western Australian Planning Commission; as well as close consideration of the City of Fremantle’s Strategic Plan 2010-2015. The working group also consulted with the local community on a number of occasions, which included street meetings, a site visit and an online survey. Feedback from these initiatives was also taken into account in the production of the draft plan. Fremantle Mayor and member of the working group, Dr Brad Pettitt, said the production of a draft master plan was a positive step towards rejuvenating the Cantonment Hill site: “Cantonment Hill is a place of significant historical and cultural value not only to Fremantle but all of Perth and I’m pleased that we are well on the way to preparing plans to not only preserve its history, but also improve its attractiveness as a public space,” Dr Pettitt said. “Since the site came back under council control in 2010, the City been very active in planning for its development and thanks must go to all members of the Cantonment Hill working group for their commitment and vision in getting to this point. “I now encourage the local community to view the options in the draft master plan, attend the open day and have a say on their preferred development for the site,” he added. The working group has met formally and informally on a number of occasions to progress planning for the site and has also consulted the views of the local community on a number of occasions, including local street meetings, a site visit and an online survey. In June 2011, the working group selected urban designer, CODA, from a competitive tender process to prepare the draft master plan, including several options for development. The working group will be conducting a public consultation day on Sunday 12 February from 10.30 am to noon. The open day will provide the opportunity for members of the public to hear a presentation by CODA on the development of the draft master plan and to hear comments from the working group. The signal station will also be open for an hour from 9.30 am 10.30 am prior to the presentation. The draft master plan and options for Cantonment Hill’s development are available on the community engagement section of the City’s website for the duration of the public consultation period. Written submissions during this period can to be sent to manager city works, Lionel Nicholson, by emailing lioneln@fremantle.wa.gov.au or by mail to service and information centre, City of Fremantle, Town Hall Centre, 8 William Street, Fremantle 6160. There is yet another very good opinion piece on city development in the West Australian newspaper today (page 19). It is this time not by architect Linley Lutton, who also opposes the Perth Esplanade project proposed by the W.A. State Government, but by Julian Roche, who is director of the Western Australian Policy Forum. Roche writes the projects is not desirable, not affordable and it is ugly. What caught my eye though are some of the other remarks he makes in his article, as they apply very much to Fremantle and our desire to grow and develop the city. Roche writes that people come for the relaxed lifestyle, for a place where crime is low, and the scenery outstanding. We can tick that for Freo. He says that of course people want jobs and development, but that it is an illusion that just because new buildings get built people will come. He argues it is more about supply and demand and choice of location, with good timing and budgeting, and most of all it is about a vision of uniqueness. I think we can tick that as well for Fremantle! I simply quote this last bit, and all one has to do is replace the word Perth with Fremantle. Julian Roche writes: Make Perth a better place to live, and people will want to come here to live, firms will relocate and grow and the tax base will rise accordingly. Spoil it with ill thought-out development, and the opposite will happen, and then what do we do? Do read the full article in the West, or on line, as the opinion pieces in the newspapers are always thought provoking and well argued. Following up on last week’s report on Greg Nannup‘s Aboriginal Heritage Tours in Fremantle, it is interesting to note that the City of Perth is planning three Aboriginal heritage trails. This follows the lead of Sydney, Melbourne and Adelaide. The trials would include interpretive maps showing the locations and stories significant to Aboriginal culture. I have long been amazed about how little information is available on pre-European settlement and Aboriginal culture in Fremantle and hope the City of Fremantle will look into creating Aboriginal culture trials here as well. Good news for Fremantle residents! There is no more need to drive up Leach Highway to the Melville Department of Transport, as we can now do all the paper work at the Fremantle Post Office in Market Street, where DoT has set up an office, I noticed only this morning. It saves petrol, time and long waiting queues, so take advantage of it. MEMBERSHIP OF FREO VISITORS CENTRE USELESS? There are a few disgruntled financial members of the Fremantle Visitors Centre. The City recently advertised for traders who would like to sell merchandise from the Visitors Centre to contact them, but the paying members believe they should get first bite at it, and if not all varieties of goods are filled by members, the Centre should then put it out to the general public. One has to wonder what the benefits of the membership of the Visitors Centre are, if they do not give priority to those retailers who pay fees each year. There is an obvious reluctance to look after Fremantle‘s heritage when one looks around and sees the debilitated Henderson Street Warders’ Cottages and the Married Quarters, or Army Barracks cottages at Cantonment Hill. It is a bit like musical chairs with heritage, as those responsible to look after the properties try to get rid of them. The Henderson Street cottage were first offered by State Government to the City of Fremantle, but they don’t want them, and now Housing Minister Troy Buswell is hoping a private organisation will buy and restore them and make good use of them. At the Army cottages it is the same story, with the Department of Defence offering the houses to the Western Australian government, which of course don”t want them, as they are already trying to get rid off the cottages in Henderson Street. This is an unacceptable situation and it will see the heritage buildings deteriorate more and more. Governments, be they local, state or federal, can’t keep shirking their responsibility for historically significant buildings, because they are too expensive to maintain, and departments simply put them in the too hard basket and try to leave the care of those important buildings to someone else. It is not as if Australia has an abundance of heritage buildings, as many were destroyed or allowed to rot away in the past. Our state, federal and local governments need to make heritage maintenance a priority, and not treat it as a pain in the neck! 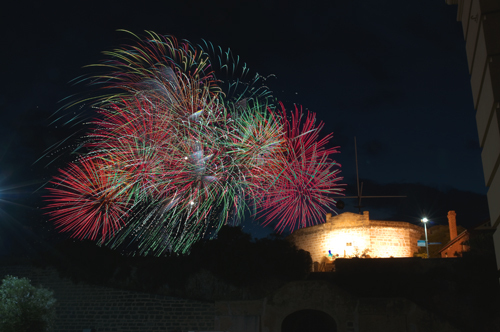 Perth Mayor Lisa Scaffidi‘s call that this year’s Australia Day fireworks could be the last one is a good one, and Fremantle should also consider an alternative to fireworks to celebrate Australia Day in the future. Most people like fireworks, especially the Chinese, who produce most of them, but for me it seems obscene to explode millions of dollars worth of crackers, while in many parts of the world people have nothing to eat. Three million babies under the age of five die each year from malnutrition, and the money spent on our fireworks could feed the people in the Horn of Africa for a considerable time. I believe it is almost indecent that we here in Australia just have fun for half an hour in most capital cities, to celebrate the beginning of our nation, without considering how much better the money could be spent, and how much better we all might feel because of it. The global village is not just a catch word, but a duty of care for our brothers and sisters all over the planet!